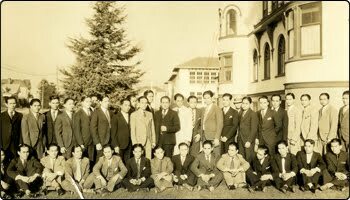 A bachelor society of immigrant workers, Filipino men constituted 94% of the Filipino population in the U.S. mainland in the 1930s (Espana-Maram, 19). As Asian American Studies scholar Linda Espana-Maram describes, Filipinos were laborers in "some of the most exploitative sectors." They worked back-breaking jobs such as working in lettuce fields for eight to ten hours a day with an hourly wage of 15 cents (Espana-Maram, 18). Though they came to the U.S. as American nationals, Filipinos were not treated as such. Before even setting foot on U.S. soil, Filipinos sung patriotic American songs, were fluent in English, and idolized famous Hollywood stars, but they were racially discriminated against and seen as, "working-class brown hordes" (Espana-Maram, 122). For Filipino immigrant workers in the 1930s, a life apart from the oppressive laborious jobs was an endeavor they actively sought. They found a life of excitement and culture in the taxi dance halls. At taxi dance halls, Filipinos "developed a dynamic subculture" where they "paid to dance with women in timed, ritualized sequences" (Espana-Maram, 122). Filipinos resisted images of dirty, poor laborers and transformed into suave, charming men who devoutly sported the McIntosh suit. Through the images of the man in the McIntosh suit, who was suave and danced well, Filipino men formed a vibrant masculine identity that not only caught the attention of white women but evoked a strong resentment amongst white men. The image of the charismatic Filipino immigrant dressed in his expensive McIntosh suit is a typical image associated to Filipino men of the taxi dance halls in the 1930s. 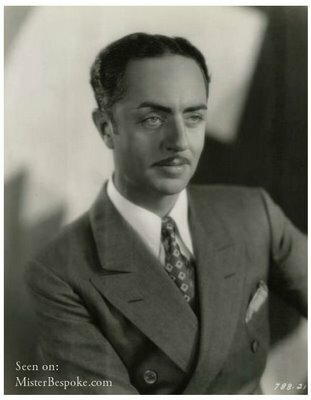 The McIntosh suit is "expensive formal attire with padded shoulders and wide lapels worn by some of Hollywood's most famous men like William Powell" (Espana-Maram, 123). The Filipinos' strong desire for a "form-fitted" McIntosh influenced companies like the Calderon Co. to advertise their shops with displays promoting, "custom-built Hollywood clothes" (Espana-Maram, 123). It is important to note the Filipinos' adamant desire to purchase the McIntosh suit. Filipino men in the 1930s wouldn't sport any other suit than the McIntosh suit. "Frank Coloma recalled that whenever he went out, 'I [he] always wore the very best suit- McIntosh suit'" (Espana-Maram, 123). As Maram points out, "Filipino laborers subverted icons of white-middle class American masucilinity" as Filipino identities of "asexual laborers in the dirty, tattered overalls," transformed through their chic dress (Espana-Maram, 129). 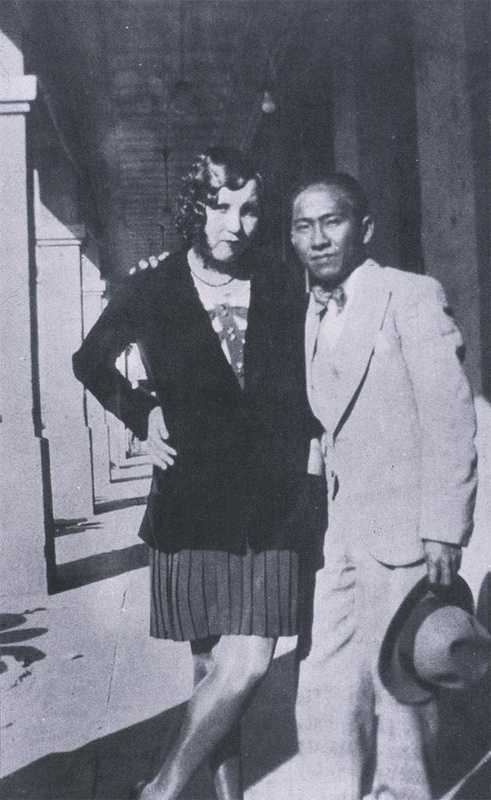 While scholars like Lucy Burns focus on the corporeal performing body and the social space of the taxi dance hall in analyzing the Filipino bachelor society, the focus on the ability to dress and convey images of the Filipino American aesthetic also underscores the potential for a form of agency for the images of Filipinos in America. As acts of violence like the Watsonville Riots inflicted upon Filipinos have shown us, visible vibrant images of minority groups can not only subvert the stereotypes of white American icons in mainstream culture- in claiming an identity of white-male Hollywood for lives of Filipino immigrants- but can become subverted as dominant white America uses such images to drive their racial animosities. The Filipino escapes invisibility as just another migrant laborer through distinct dress, but becomes more vulnerable to the reception of white America. Espana-Maram, Linda. Creating Masculinity in Los Angeles's Little Manila Working-Class Filipinos and Popular Culture in the United States (Popular Cultures, Everday Lives). New York: Colombia UP, 2006. Print. Espana-Maram, Linda. "Brown 'Hordes' in McIntosh Suits Filipinos Taxi Dance Halls, and Performing the Immigrant Body in Los Angeles. 1930s-1940s. "Generations of Youth: Youth Cultures and History in Twentieth-Century America. New York: New York UP, 1998. Print. I am a research assistant at the University of Illinois at Chicago. I am currently in the process of gathering photos and acquiring copyright permission. I have a quick question about the photos you used for this post. Do you happen to remember where you obtained these photos from, if so, do you mind providing me with that information?